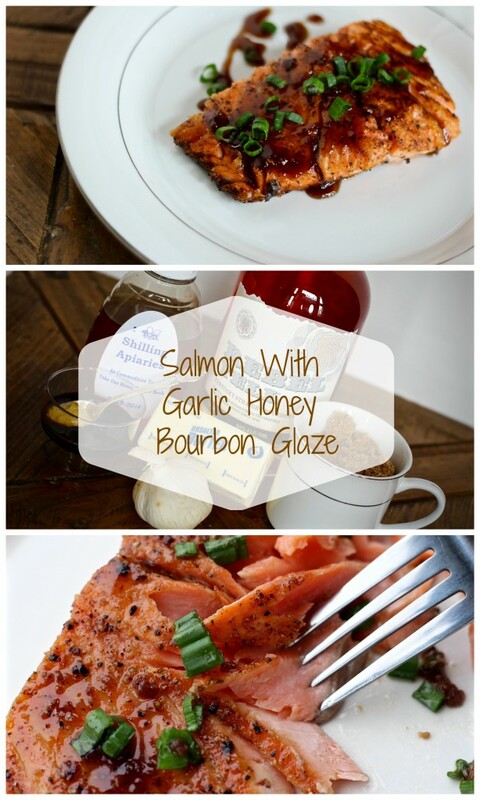 This pan-cooked salmon with garlic honey bourbon glaze is my absolute favorite and turns out perfect every time.When cooked right, salmon is tender, full of flavor, buttery, and absolutely delicious. 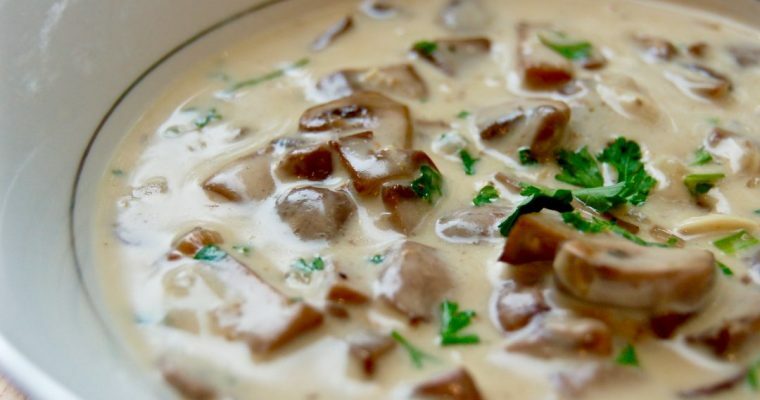 It’s a great fish to serve for dinner when you’re tired of the same old chicken or beef, and is perfect if you’re looking to make a fancier or special occasion meal. I constantly have requests to make this dish, so give this salmon a try- it will soon become your (and your guests) favorite as well! Pat dry salmon and season generously with salt, pepper, and garlic powder on both sides. Make sure to rub in the seasonings, especially on the skin side. Heat 2 tablespoons of oil in a large pan over high heat. 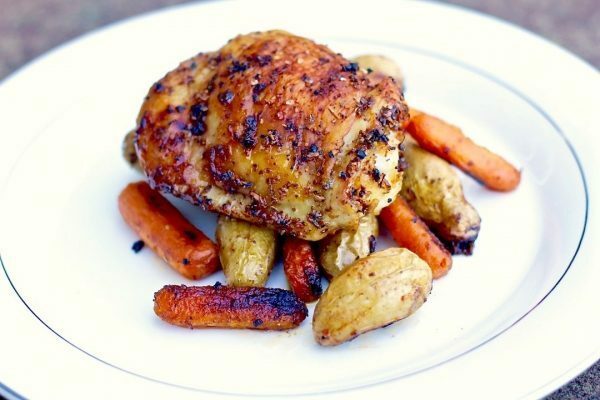 I prefer to use Grapeseed oil because of it’s mild flavor and high smoke point. 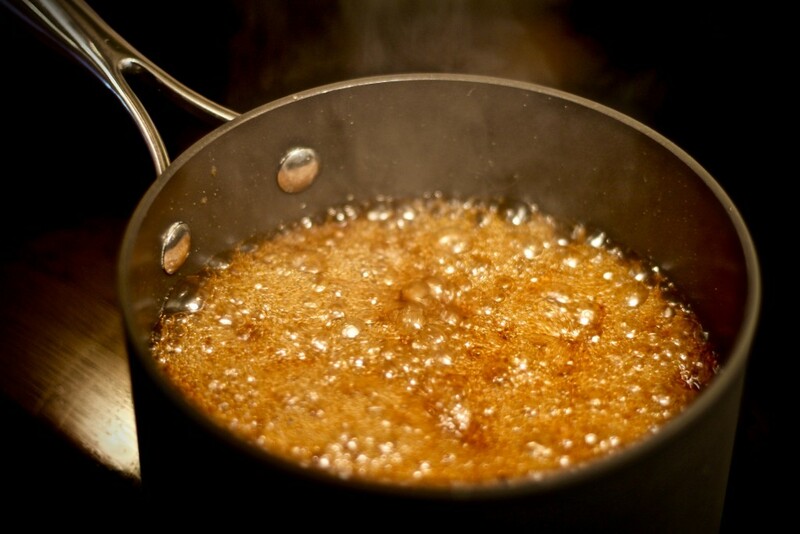 (Read more about my pan and oil recommendations for searing or cooking any kind of meat!) 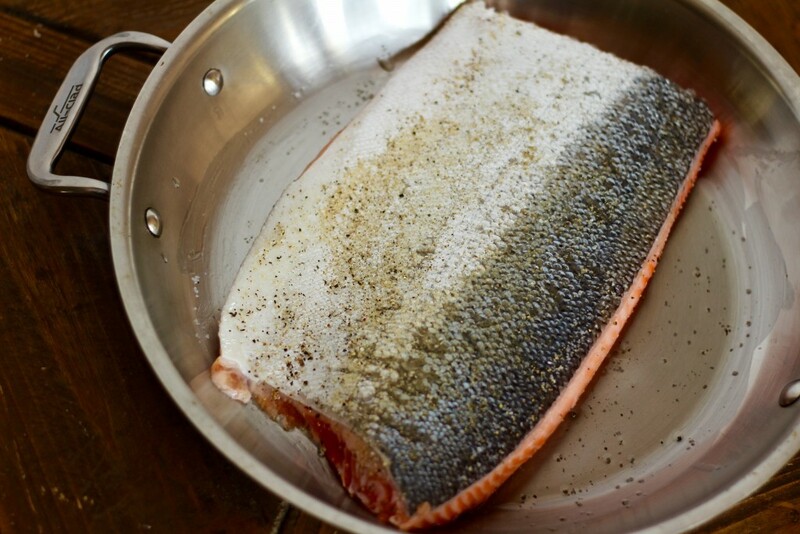 The oil will help cook the salmon more evenly and prevent it from sticking to your stainless steel pan. You will most likely need to cut the salmon filet in half to fit it in the pan. Place salmon skin-side up on heated pan. This is why I choose to buy salmon with the skin still on…as you cook the fish, all the good fats from the skin will melt into the rest of the filet, making it even more tender and flavorful. Cook the salmon skin-side up on high heat for about 3 minutes, then turn and cook on the other side for an additional 5 minutes. The skin will get very crispy (which is the only way I’ll eat it) AND will be very easy to remove if you don’t like to eat the skin. 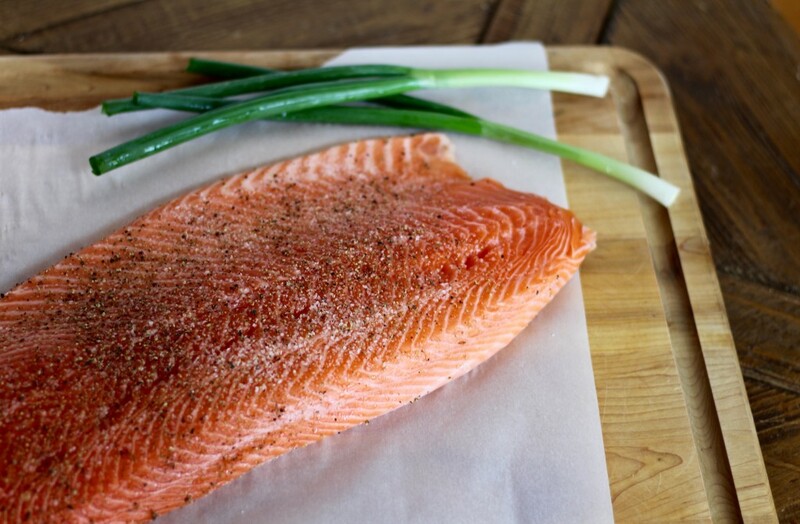 This way you can have all the flavor and benefits of cooking the salmon with the skin still on, but can easily serve it without the skin as well. 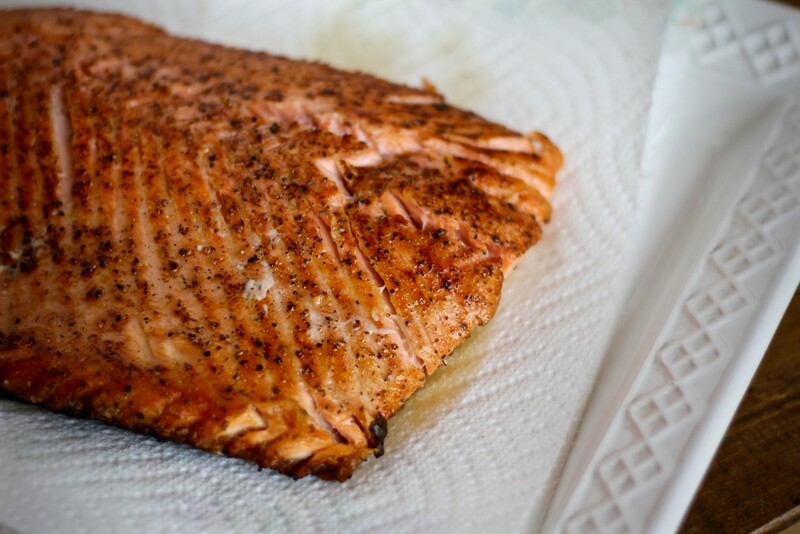 Remove the salmon filet from the pan and place it on a paper towel to absorb any extra oil. Since it was seared on high heat, the top should be crisp and golden while the center remains a bit translucent (but still flakes along the muscle fibers). This is the key to perfect salmon: don’t overcook it! Even the best filet will turn out dry if you cook it for too long. It should be cooked to medium doneness, about 145° internal temperature, but keep in mind that it will continue to cook and rise in temperature even after it’s removed from the pan so it’s best to take it off at 130°. 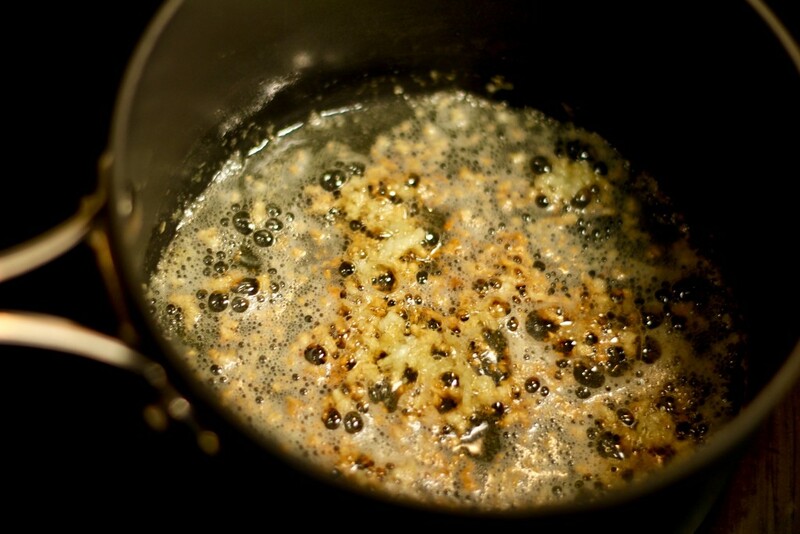 In a small sauce pan, melt 2 tablespoons of butter and add in 3-4 cloves of crushed/minced garlic. Cook the garlic over medium high heat, stirring regularly, until it starts to brown. 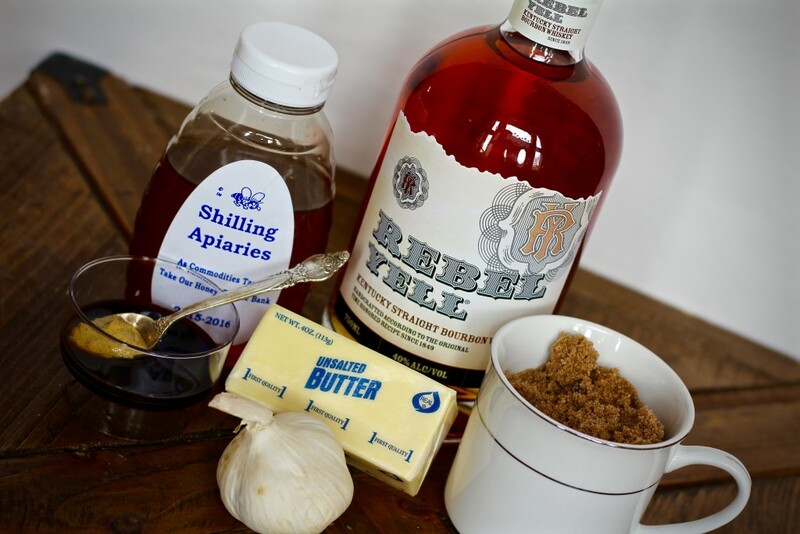 Whisk in the bourbon, brown sugar, honey, worcestershire sauce, and dijon mustard. Let sauce come to a rolling boil, then continue to boil for about 7-10 minutes until it reduces and thickens. (All of the alcohol will burn off during this process and all that will be left is the added flavor from the bourbon.) It should look really foamy and bubbly as all the sugars are cooking. Remove the pot from heat and let the glaze cool for 1-2 minutes (it will get a lot thicker as it cools). 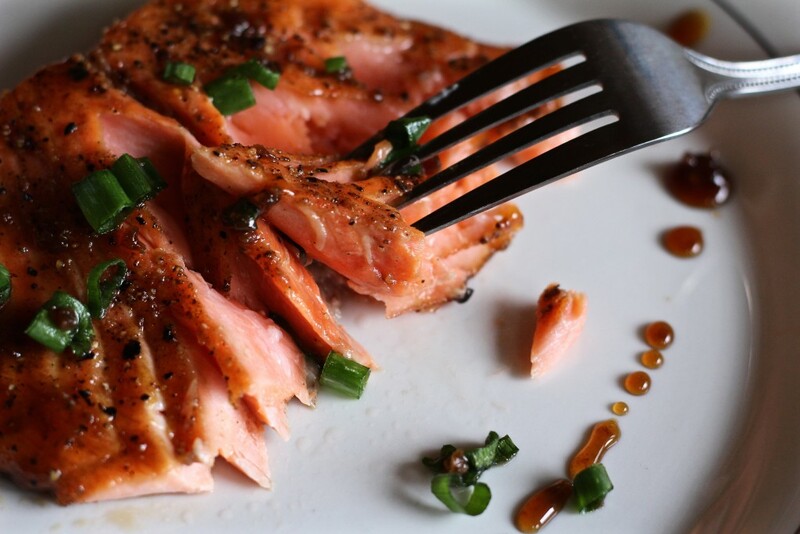 Spoon the garlic honey bourbon glaze over the cooked salmon and garnish with thinly sliced green onion. I like to serve this salmon over rice with some steamed or roasted veggies on the side, or perhaps with Asian coleslaw (like I did for our dinner here). 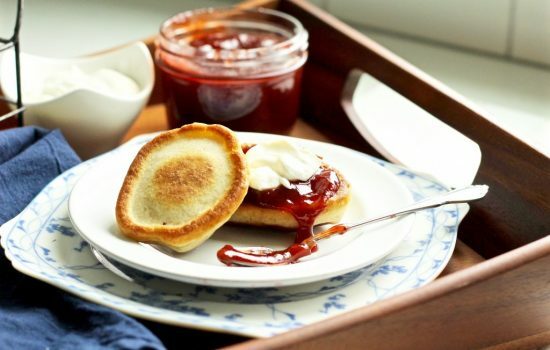 The glaze is what really makes this taste so phenomenal and makes it as good as a five star restaurant dish! Minced garlic caramelizes within the glaze and becomes a crunchy candied garlic toping that is unlike any other. 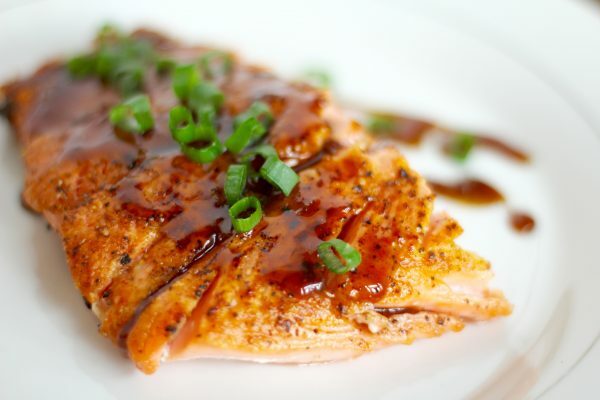 Try making this salmon with garlic honey bourbon glaze for dinner this weekend…it just might become your new favorite recipe and it won’t be too long before you start getting requests for it too! Serve it with these gourmet fried smashed potatoes and fresh pomegranate goat cheese green salad! PS- Do you prefer a more savory salmon? Try this juice grilled rosemary salmon instead! Optional: Bake salmon on parchment paper at 350° for an additional 5-7 minutes if you prefer it well-done. 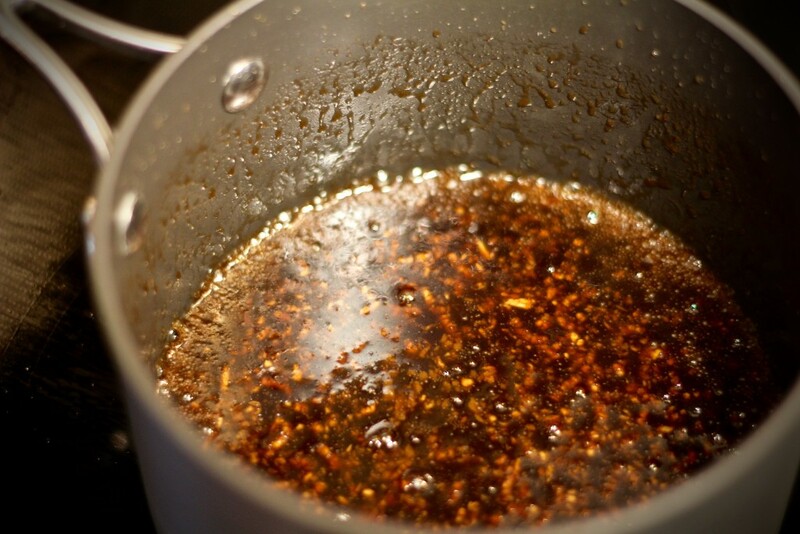 Let sauce come to a rolling boil, then continue to boil for about 7-10 minutes until it reduces and thickens. Salmon looks delicious and the way I like little bit pink inside. Will try it soon. Thanks for sharing recipe. Thanks Z! Just how I like it too! So much more tender and juicy. 3/4 what of bourbon? There’s no unit of measurement. Thanks for catching that Debra, sorry! 3/4 cup. Enjoy!